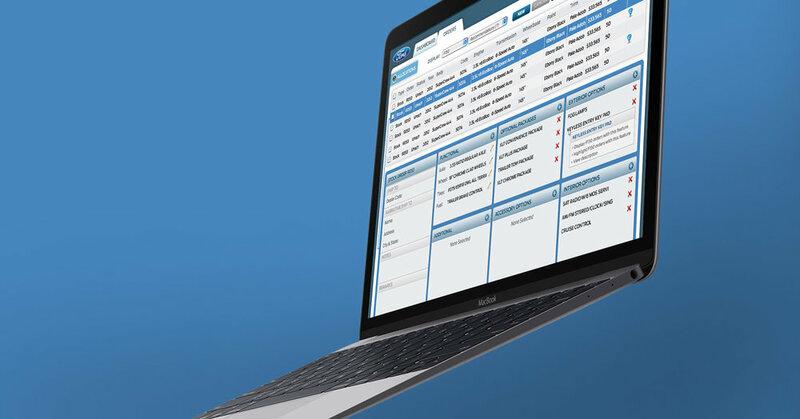 After 10 years of internal IT failure, we replaced the legacy mainframe with a lightweight, browser-based app that delighted dealers. We integrated seamlessly with enterprise order fulfillment and assembly plant systems to simplify the ordering process and eliminate esoteric part codes. Our user-centered approach combined 10 legacy green screens into 1 streamlined web app. The drastically better usability and smoother order submission flow increased dealer adoption. Our high performance architecture eliminated 100% of dirty orders and guaranteed that a given configuration was orderable and priced correctly every time. We increased recommended order take rate to match corporate goals.